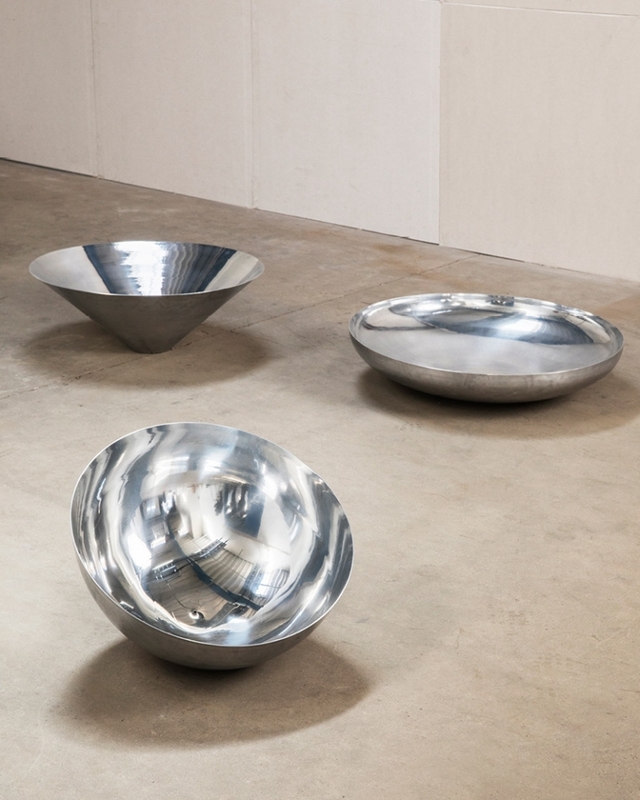 I am exhibiting three large metal mirror basins – each with a different curvature. The outside of the bowls are untreated and presents the marks left behind from the handcrafted spinning production. The insides are mirror polished. 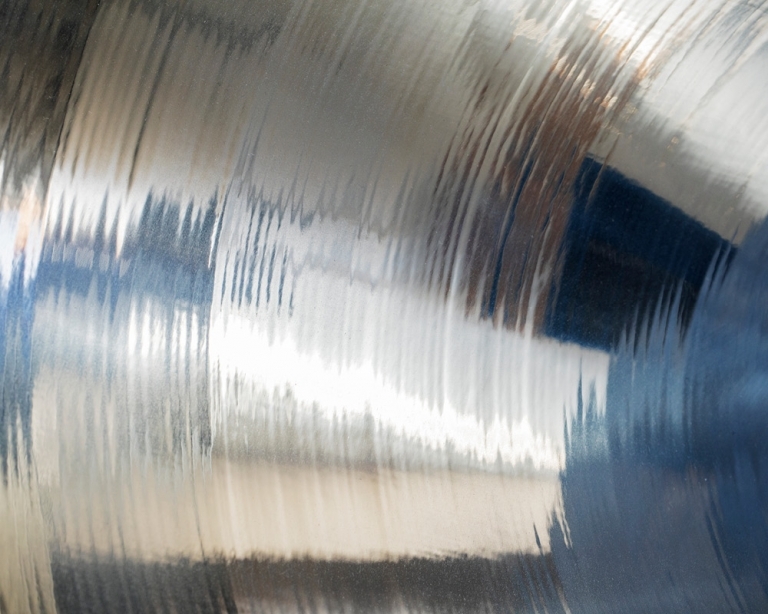 The reflective surface and the pliable metal have been a centre of experimentation for my work for some time. A traditional mirror reflects a portrait of the person looking in it. Looking in a concave, double curvature mirror surface the reflection of you is reduced to a fragment of a much larger abstract image of your surroundings. It is a reformed way of experiencing the space around you and yourself in the space. For me to reform is to... Give time and space to the meeting between the abstract and the specific. Product and furniture designer Laura Faurschou (DK) has run an independent design studio since graduating from the Royal Danish Academy of Fine Arts, School of Design in 2012. The studio provides products and furniture for production as well as interior design solutions for private and industrial projects. modernistic and clearly readable appearance. Laura Faurschou took part in RE F O R M 2016 as a part of the duo Johansen Faurschou.